“Play MJ Hits today and see your sales soar five times” – I told the young boy who was managing the music section at the Landmark Outlet. It was my first visit to this location – I wonder why people call this a Mall. It isn’t, in reality. It’s a building that houses some Retail, a food court and a few cinema screens. A first of its kind mall that I have known in the recent past without an atrium or a central area – no place to “hang around” – just do business or leave! I am referring to the recently inaugurated Swagat Garuda Mall, near or rather in Jayanagar. One would remember the infamous erstwhile Swagat cinema here, a place that was popular among the young and the old and credited with showcasing among the biggest hits of yester years. The ground floor houses a Westside Store, from where you walk up to the first floor which opens into the Landmark Outlet, welcoming you with well segregated Books from across various categories. And this floor leads you to the second floor that begins with some pefumes and gifts and deep inside is the Music section. We were trying to reach the fourth floor which has the INOX multiplex – our main reason to visit this place was to watch the latest Hindi superhit, New York, based on the traumatic effect on people in the US from various religions and backgrounds after the fateful 9/11. We still had some 20 minutes and decided to walk through the store. While Westside was looking normal with its usual collections, Landmark was a bit better. Too many merchandise and too little ventilation and airconditioning makes these outlets stuffy. Wish the project guys doubled up as salesmen too or atleast visited these places as customers, that they don’t repeat such bad planning! As I was walking past the western/pop section (and remebering my good’ol days at Musicworld), I was remined of the Pop sensation who breathed his last a few days ago. I called for assistance and said, “Where can I find the Best of MJ India collection”. The good samaritan took me to the section, searched for the album and handed it over on my hand. Wow. I was quite surprised with that – quite rare to see, honestly, that a sales guy actually gives you what you actually wanted and that too in a jiffy. I thanked him and was looking at the other collections. However, this was what I wanted and moved towards the billing area. While some other music was playing all along, I suddenly heard “Black or White” on the speakers. The same salesguy who assisted me, was preparing his day, planning his work, saw me again. And I said, “AirPlay MJ Hits today and see your sales soar five times” and I could see a wide grin on his face, for he knew I wouldn’t be wrong. It’s not just a commercial proposition that Retailers must cash in on, certainly not. That would be cheap and may not take them long. But, it’s great service to remind customers and highlight the collection of the world’s most popular pop singer and honor him atleast with that respect, after all that he went through before he finally died. Even as I write this piece, News channels are showcasing various reports, most of them their own thoughts with some facts thrown in here or there. After billing, we walked up to the third floor, some food outlets bunched up in a low ceiling food court, which made us to test our fast-walking skills. And then, finally headed to the fourth floor. It was a delight to see the entrance of the cinema hall! But I must admit that the overall layout of this location was not all that bad – afterall it brought more customers through the shops and the food court, increasing footfalls and probably inducing conversions. And just then remembered why we were there. I asked myself if I would have bought the music CD of the movie that we were going to watch and the answer was yes. Just that I didn’t remember to. Probably because I wasn’t reminded. What a wonderful opportunity it was to sell music CDs at the Cinema Hall or even just before one entered. Such a simple thought which am sure would have stuck the area sales executive who went to check out stocks at the Landmark Outlet, but probably missed out. If not a great grand display, atleast an Airplay would have helped. Yes, I bet. This was the first project that I undertook as a Management Trainee straight out of B-School 8 years ago. And the results were startling. Whenever a particular artist/album was played on Airplay (that’s the common music that you hear at the retail stores), chances of that particular album’s sales going up was over five times. And there were days when we have played the same CD for over 6 hours – continuously. One such example was K3G or Kabhi Kushi Kabhie Gham, a hindi movie released in 2001 that featured the Shahenshah and the Baadshah together (that’s Amitabh Bachhan and Shah Rukh Khan). After all, nothing better than AirPlay. It not only holds customers within the store, but also creates great conversions. Just that one must remember, to play. To AirPlay. If only. After a long day’s work, I drove towards the city – to UB City; the most upmarket place in town with the likes of Louis Vitton, Zegna, Ferragamo and Rolex welcoming you from the entrance; a property that belongs to Mr. Vijay Mallya, the owner of the UB Group – from Breweries to Vineyards, from Race winning Horses to Yachts, from Force India Formula One Car Racing team to Kingfisher Airlines, he owns a long list of popular companies and marquee brands. No, I wasn’t there to shop, just to meet an old buddy of mine. After my friend arrived, we decided to move on to some Beer as it was already past 7pm. Hopped in to a place by the name Shiro – a gigantic Buddha statue in the middle of the restaurant that had a ceiling at over 10 meters! Wow. And the lighting and other aesthetics that have been so carefully designed by the people behind the project was quite appreciable. They have an area that’s covered (climate controlled, ofcourse) and an open area that’s part of the terrace, overlooking the beautiful surroundings of VM Road disecting Lavelle Road. We choose to sit closer to the Bar with nice and comfortable wooden chairs while the well spread out seating area was meant for larger groups, we thought. Then we turned to the Bar man and asked for Beer; my friend said Carlsberg and I said Blue. He quite didn’t catch it for a couple of times until I said Kingfisher Blue. With a wide grin on his face, he replied that they don’t keep Kingfisher. I was shocked! At Mr. Mallya’s home ground, there is a restaurant that doesn’t stock and sell Kingfisher… India’s most sold Beer by quantity. So we ordered Carlsberg and started enjoying the beer, the company and the evening. But something was running at the back of my mind. Will I return to this place again, although they don’t serve my favorite Beer? As I write this almost a day after, I still don’t have an answer – if people like me, if consumers like me would return to a place that doesn’t stock what they want but would rather pursue them to have something similar. I am not so much an expert about Beer-making that I could explain now in length about the origin, the process and the taste of various brands of Beer but what intrigues me is this – are consumers looking for just an emotional gratification while they buy or consume brands or are there some rational reasons attached to it as well. If Kingfisher was the most famous Beer and our state Karnataka being among the biggest markets in the country (and Bangalore leading the pack within the state), then how was it that the restaurant was almost full when we were leaving the place at 9pm? Was the environment, the ambience and the food so great that people were willing to desert their favorite Beer Brand for some other alternatives? The logic that consumers visit such places not to get drunk (a pint is INR 180.00 ie., USD 4 and the food is mind-blowingly high on price notwithstanding the quality) but just to spend some good time sounds crazy, if not surprising. On a weekday, if that’s the crowd, then one could imagine how the place looks on a weekend. So, are such consumers (not just to this place) visiting their favorite places only to spend “time”? Then what value does a Brand carry? Somebody said Brand Loyalty? Naaah. Let’s not confuse loyalty over popularity and availability. Loyalty would be built only when the Brand was available. Obviously. And it is possible to build Loyalty especially in a controlled market, where entry to external brands is not just difficult but impossible at times due to government guidelines. And if the consumer doesn’t get their favorite Brand more than twice or thrice, would they switch over to some other alternative? Whats interesting here is that consumers would continue to buy alternatives only till such time they don’t get their favorite ones. Or they may get used to newer Brands because of what they offer. So, availability leads to popularity which may result in Loyalty. I doubt if it would work in any other direction. In this case, while comparing attributes, KF Blue and Carlsberg score more or less the same. But would someone switchover to Carlsberg in future leaving their favorite brand behind? May be not. However, the first time the Brand gets to interact with a consumer is when the decision is made. To use it again or not. It was quite similar two decades ago when there were only three cars in India, forget variants – Ambassador, Fiat Padmini and Maruti 800. Today, they still exist. With a decent single digit market share, but they just “exist”. Possible in a country like India where the ever growing consumerism ensures that everytime a segment upgrades, there is another segment that fill their previous profile. And today, while Hyundai rules the roost, Maruti is still quite close and other brands such as Honda, Toyota, Fiat and GM are household names. Cut to a Retail store: would consumers still come to a store that doesn’t retail their favorite Brands across categories? While private store labels give a run for the money to the domestic and international biggies, the consumers know exactly what they want. No wonder, private labels do not contribute over 20% to the store’s turnover. Consumers would come to the retail store only looking for their favorite brands. And may walk empty hand if they don’t find their choices. Convincing them with alternatives is not just through the ambience and environment – the product attributes must live up to their expectations. So, the equation runs as availablity -> popularity + Attributes = Loyalty. After all, Brands are expected to Drive Consumers into the stores, not drive out! Cheers. On 03 Feb. 2009, when Delhi International Airport Limited (DIAL) unveiled its ambitious commercial plans for its much-awaited upcoming integrated Third Terminal in 2010 (popularly known as “T3”), almost everyone who is anyone in the Travel Retail Industry was present. 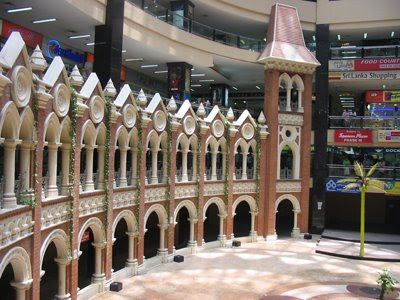 The company named the retail space as “Skyline Avenue – Destination You”, a first in Indian Travel Retail history. Not many airports worldwide actually believe in creating a separate identity to its commercial offering, but the team at DIAL went ahead with such an arduous task. While the overall proposal covering 20,000 sqm of Travel Retail space was welcomed by the Industry, it came with some surprises: that the participating operators must be willing to form a 49% joint-venture with DIAL to operate the business was just one. While such a decision was probably logical, given the fact that a huge investment is already being made by the Airport Operator, very few (Retail/F&B operators) apparently were enthusiastic in sharing the Board Room with an Airport Operator. Although there are very few such examples worldwide, both models have their own pros and cons. With stringent FDI guidelines (in Indian Retail) and the operator already having to manage the issues with forming such a JV, it was an exciting story in the making. And it ended up with more surprises. To begin with, The Nuance Group (with two Airports in its kitty at the moment at Blr & Hyd) not participating in the Tender process, HMSHost (with three Airports at Blr, Hyd and Bom) aggressively pursuing more ground and a few new Domestic and International names, from India and abroad, the finish was rather a nail-biting one. The Retail Tender was won by Aer Rianta International (ARI) in a JV this time with IDFS, a popular Indian company in the Duty Free business (their earlier JV with Flemingo was short-lived) and the F&B Tender was won (in four different packages) by SSP International (two packages), Devyani Group, and Travel Food Services (one package each). That The Nuance Group did not bid and HMSHost did not win in Delhi makes it worth a case to analyse. So, what does it mean to the nascent Indian Travel Retail Industry? Firstly, the estimated INR 200 Crore (~USD 45 million) Indian Duty Free business gets quite well fragmented; with Flemingo and ITDC holding more contracts than any other operator, it leaves with just two contracts for Nuance and one for ARI. Currently, the Top six Airports (DEL, MUM, BLR, HYD, MAS, and CCU) would probably have over 50% market share by value and the rest is distributed within the other Airports. If there is anyone who’s probably going to have the best of times, it’s the one who feeds us everyday – The Customer. With more choices and competitive pricing across key International Airports, it would be worth seeing which Airport this “passenger” chooses to travel from. Doesn’t look like a reality in the short-run by a few of my sceptical colleagues in the Industry, but sooner than later, I am confident that this will happen. The next best one to get benefitted (from such an industry fragmentation) is the Supplier. Over the past few decades, not more than half a dozen suppliers (including leading Brands) were providing goods to the erstwhile Duty Free Operators. This has changed quite a lot over the past five years which has already seen three new International operators. While their pedigree certainly helps in getting better margins, the power of consolidation (some call it monopoly, hic!) fizzles out. Each airport is located in a peculiar zone such that what sells the most in one may not even find a significant place in others. So, there is a lot of work to do by the Suppliers and Retailers to ensure that the right product at the right price at the right time is going to be available. Looks easier said than done, as understanding the ever-changing needs of the constantly evolving Customers through research and other methodologies is not just an expensive affair, but also a time-staking exercise. And the other member of the Trinity, the Airport(s) would actually find the going just fine, may or may not be too turbulent but certainly not a great time, given the reduction in number of passengers that provides them their direct income and dwindling overall passenger (commercial) spends. With the six major Airports actively competing among themselves and with others in the region, to lure the passengers to pass through their airports with better connections and then make them spend as much at their respective locations with better layouts and enhanced facilities, this is one unique competition that’s worth following. And the Indian Ministry of Civil Aviation’s plans to modernise over two dozen Airports in the next few years is another opportunity (or rather a new competition that's brewing). Everyone knows that Competition alone does not mean competitive prices (for customers). In that case, every operator in India would look at maximising their returns as the number of touch-points (Read: Airports) is just a handful and short term and more Operators waiting in the fray to enter the country, not to forget that passengers may not be spending more in the coming years although the total number of passengers is expected to increase significantly. So, it may not be just possible to offer best prices all the while. While it is difficult to say what a fragmented market means to the stakeholders, it certainly does not provide a comfort factor for those who prefer to operate in a silo. A quick comparison at neighbouring airports is interesting. At Dubai, the single Operator is Govt. owned and hence no question of direct competition expect for, from the Middle Eastern region; Ditto in Bahrain and Kuala Lumpur. At Bangkok, notwithstanding all the controversies over the past two years, it is still a single operator. At Hong Kong and Singapore, the two Big Operators (one in L&T and one for P&C) have gained considerable ground over the years. Heathrow and Frankfurt have strong operators for quite long. The above mentioned airports cover more than 70% of inbound and outbound traffic from India. But one must note that the prices at these airports have always been competitive (for some reason, I hate to use the word “Cheaper”). In F&B, while world leader HMSHost has brought certain standards at key Indian Airports, they have also showed that it is certainly possible to ensure passengers are spending quite well, as long as they see “Value” in what is offered. With innovative concepts (not necessarily established QSR names) and Five Star services at affordable prices, the “spend” per passenger across their various outlets have been healthy and growing consistently. While newer operators (in Travel Retail) are still honing their skills, it would be sometime till they can catch up with the more established ones (like HMS). But the race is a long drawn one, with millions of passengers to be fed every year! Hopefully, more the merrier, atleast in this case! So, will more Competition bring better Prices for Indian Customers? Too early to say; but, will the existing Operators try to increase or consolidate their presence? Certainly! For their own benefit. The Indian Travel Retail Business is not just too big a promise but a sure-shot opportunity over the next decade. With the present 110 million passengers expected to double within the next ten years, this is one market that cannot be missed – for those within and for those outside, watching with keen interest. The very thought of vacationing in Madras sounded crazy to many of those around me. Some thought I was joking and found me over-reacting, looking at my excitement. 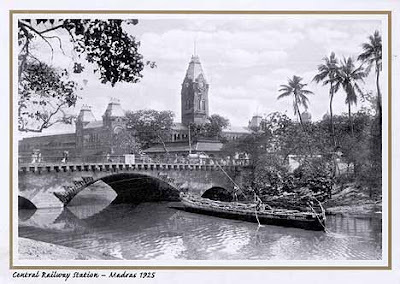 After all, I was going to be in Madras (aka Chennai) for a week, many years after I moved out of the city where I lived for over 25 years. No agenda – I declared to my family, when they asked me what were the plans when in Madras. The only agenda was to eat, listen to radio, drive around and sleep well. The first visit was to the place I grew up – no, not my school or college, but to a place called Bessy (short name for Besant Nagar Beach!). My friends and I would sit here all evening (and sometimes even during the day! ), giving business to ITC’s nicotine products, talking hours together discussing (non-existent) business plans and other issues – personal, societal, social and sometimes even political ones. In fact, Bolywood’s ace director Farhan Akhtar was inspired by people like us in his first movie, Dil Chahta Hai! Was driving around for sometime until I finally found a parking space. Then, walked the whole stretch of over a mile – what was surprising was the place that we occupied 10 years ago was not vacant; another bunch of people were there, probably discussing similar issues (minus ITC products though!!). This place hasn’t changed much – except that there were more cars than bikes on the road, and more families than singles or couples at the shore! Over the next few days drove down to many places in the city – from Parry’s Corner to Nungambakkam, KNK Road, Mount Road, Spencers Plaza, Alsa Mall, Anna Nagar and adjacent Main Roads, Nelson Manickam Road – well, almost every road that I knew in the city! What I saw all around was development of Infrastructure. It was getting better by the day, inspite of many whom I know who were complaining. Welcome to Bangalore, I kept saying. No – this is not a blog for city bashing or so, but one must appreciate the efforts to get the city going before it chokes. And the hottest issue in town apart from the temperature is the construction (and the agitation against it) of the elevated highway along the sea-shore. I wonder where do these activists suddenly arise from. I mean, wheredo they take their learnings from. For a city like this, if Infrastructre is not created now, then when? Anyway, I am not an expert in this matter, so I might as well keep shut. The one thing that impresses me the most is the availability of consumers and the opportunities to serve them. For such a large Metro city, there are just three Malls – the two-decade old Spencers Plaza on Mount Road (aka Anna Salai), the three year old City Centre at RK Salai and the soon to be inaugurated Ampa Mall near Anna Nagar. Bang in the middle of the city is the upcoming Express Mall (2010) – apparently spanning almost a million sft. 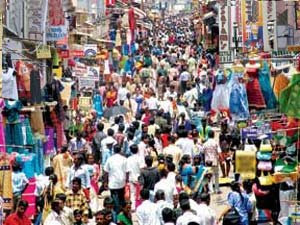 Once opened, this would be the most populous place after the ever crowded T.Nagar! Traditionally, Madras has always been a “High-street” favorite for shopping. Even today, most of them are happy to hop shops on a single street – yes, they have upgraded from the best-bragain Ranganathan Street to the upmarket Khader Nawaz Khan Road that houses the Benettons and the Tommys of the world. People still take the effort to park their cars and bikes and walk to different shops to see the latest offerring. All said and done, Spencers is an all-time favorite. A historic name and a monument that it used to be, it was popularised in the 1980s by movie shootings and the actors and actresses being seen around; the original structure was supposedly burnt down many years ago due to an electrical short-circuit. And then a new structure was created in the early 90s. 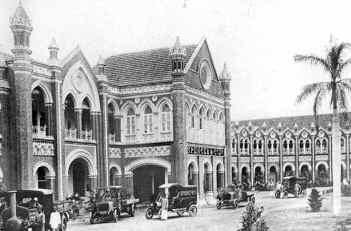 A modern shopping environment (not necessarily Organized Retail though) that had hundreds of shops in all sizes and shapes from 100-10,000 sft, early retailers in India such as Madura Garments, the RPG Group and even brands such as Levis and Titan were once anchors here. Today, they are still present – just “present”. Phase 1 is quite dilapidated and already showing signs of decay (literally on the walls in some places). Phase 2, that opened in late 90’s is a bit better, mainly having Pantaloons, Westside and Helvetica Watches as anchors. Phase 3 that opened a few years ago is a visual delight that shows the erstwhile Spencers’ external look, albeit the interiors are no more than plain walls and colors. A food court in the second floor draws some crowd, especially during lunch but otherwise there is nothing much that one could drive upto. The only Retailer that still draws huge crowds is Landmark. When they opened in 2003, every Retail Entrepreneur, Manager upto the CEO visited this place to see how well it was conceptualized and offerred to consmers. Today, its pitiable condition is a question mark. If one could find his or her way through the maze of fixtures and furniture into the deepest corners and actually spot an SKU that they actually want, it would be a surprise. Unluckily, I wasn’t able to. The noise of the pedestal/wall mounted fans was higher than that of any music that was playing in the background. The A/C ducts were all there, but for some strange reason, not functioning (Govt. regulations on reduction on power consumption??). Seeing is beleiving – and yet there were no LCDs in the DVD section that were playing the trailers of the latest hot-sellers (if there were any). Even the twelve minutes that I spent inside the store was like an hour, given the situation. And while billing the only magazine I bought, one full song was played and completed on my pocket radio. Wish this place was better – so consumers were in a hurry to come to the store! My next drive was to KNK Road – the mecca of the hippest brands. Tommy Hilfiger relocated themselves from their former location at Cenatoph Road to here on Thursday. Benetton is three years young now, so is Mocha – the hippest coffee shop in town. Zodiac, Wills Lifestyle and Allen Solly are among the oldest occupants on this stretch. Bong & Olufsen, makers of the world’s finest music players have a studio here. Esprit has recently occupied a superb property that once used to be a posh bunglow. Levi’s shut its outlet sometime ago due to scarcity of walk-ins but Subway and Barista around the corner are super-hits. And many more brands are awaiting their turn to open their Outlets here. Most Retail “pundits” (leasing managers – pun intended) predicted three years ago that every house on this road would be converted into a Retail store – which is not to be. There are not more than a dozen Outlets on this mile-long stretch, yet it’s the most popular shopping destination today in town. 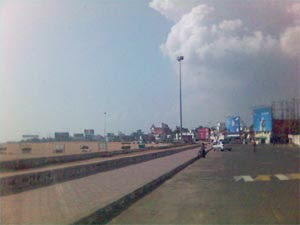 At the entrance of this road, on the corner property, is a big board that claims “Coming Soon – Chennai Central”. This place is unutilized for over three years now, but am sure Mr. Biyani’s plans are intact. Look forward to another new one in the centre of the city, Sir. 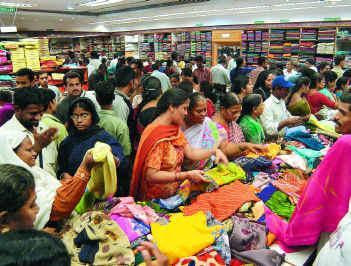 The Group’s first experience with a Pantaloon store in the early 2000s was followed by two more Big Bazaar Outlets only two years ago. When I asked him once why the group was so slow in this city alone – he smiled. And said, that this is among the most complex markets in the country. It was. It is. It will remain so. Who better than KB would know. My drive to Thyagaraja Nagar or simply T.Nagar just proved that. The crowds that overflow the world-famous (pun unintended, really) Usman Road was a sight to look at. I am told by the traditional retailers here that the conversion rate in this locality is as high as 90% (A consumer here is actually a group of 3-4 people; that’s how people come to shop here). Although most Retail action here is around Indian Sarees, Dress materials and Jewelry (largely GOLD and SILVER, and a bit of others), all Retailers are decades old in the business. Modern Retailers/Brands haven’t been as successful here as their local counterparts - well, the market never welcomed or accepted them beyond a certain point. As always, even the restaurant that I went to did not have place for just four of us. And it was only 4.30 in the evening on a weekday! We went back home as we knew it would be the same elsewhere too within the locality. Someone said, err… Recession? Well. What’s that? Naaah… that’s a bit exaggerated. Even though the markets look full, they are actually one-third empty. This, again according to market estimates. However, with the wedding season around, shopping seems to be in full-swing. It is nice to see that only the bill values have come down, not really the number of buyers. Good. My last day seemed to be the highlight. Whilst I was recuperating with the high fever amidst some high-voltage antibiotics, my nephew called me to watch Sun TV. 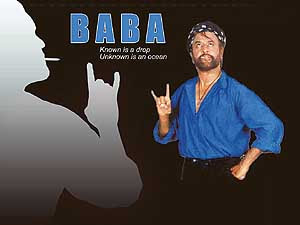 And… it was the all-time favorite Rajnikanth starrer Baba. I must share one of my well-guarded secrets now. When this movie released on Aug. 15, 2004, my friends and I went to see the first show on the first day (FDFS) – a craze that’s synonymous with most of us back here. The ticket that’s usually priced at INR 80 (USD 2) was “acquired” at INR 650 (we saved for six months to pay the premium!!). And then we were at the cinema – just to see all that hallucination and the exaggerated hysteria or fanism or fanaticism or whatever you would call in chaste “English”. For us, it was celebration and jubiliation. FDFS Thalaivar movie was once in two years and who would miss it. The storyline was based on the actor’s own life. That means I would never forget the soil that fed me – the Tamil soil, Bengal and Bengaluru… I am deeply indebted to these three cities – I grew up in Madras, started my career in Kolkata, West Bengal, and now living a satisfied life in Bengaluru! Look forward to another off-beat vacation – most probably, Kolkata. Havent been there in eight years! Another exciting consumer market.